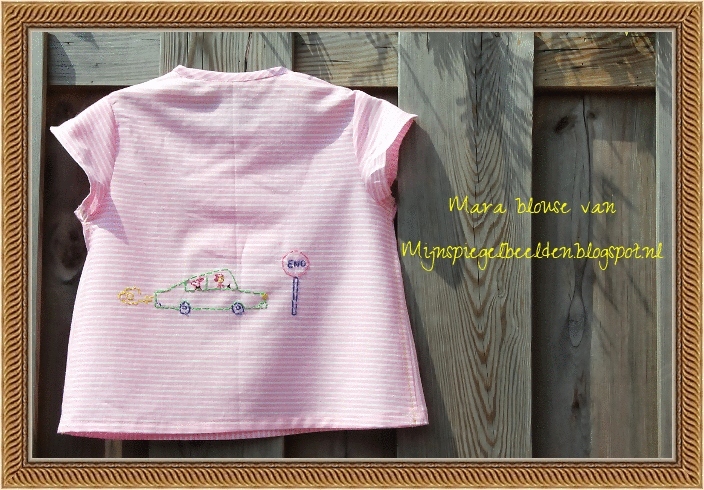 Hi everyone, I am Manon and I blog at mijnspiegelbeelden.blogspot.nl. This is the last day of the Mara tour. We see a lot of blouse in all different size. I love to see all the creation. 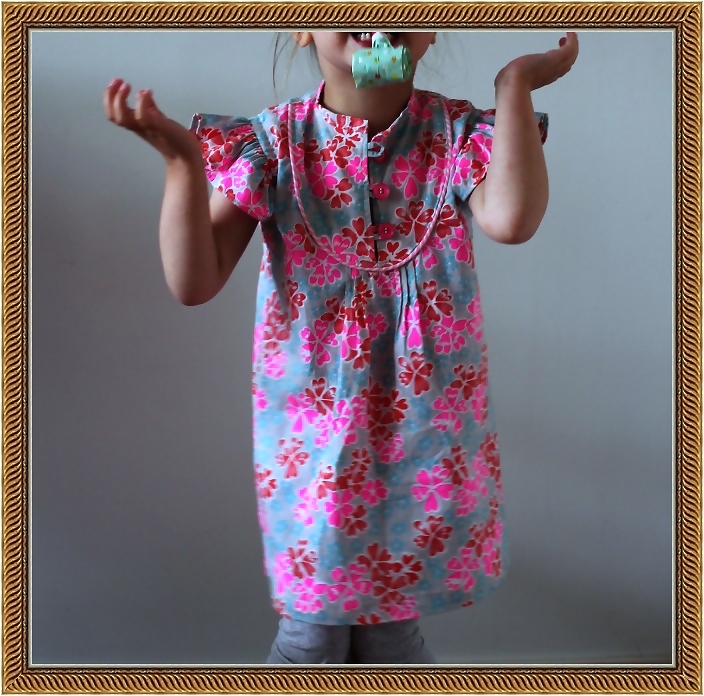 I make two Mara’s, the first one I make for my daughter (3 years old) a Mara blouse with a lovely petit pan fabric. 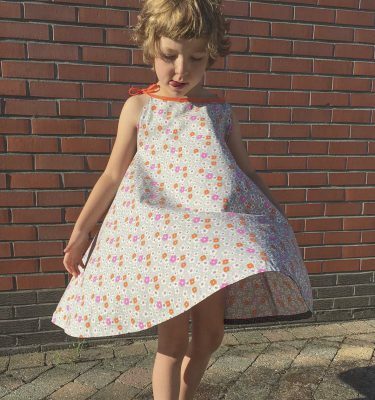 The piping and ribbon I make by myself with an recycling fabric from the second-hand shop.With the same fabric I create an second Mara blouse for my youngest daughter. She is 15 months but I choose for the size 18 months.The mara blouse is in the front with horizontal stripes and in the back with vertical stripes. The sleeves and around the buttons i make with contra stripes At last, on the back there is a embroidery. The tour-embroidery ends in Amsterdam where i life. The summer is practically ended. I go to sewing for the autumn. Bye and see you on your of my blog.